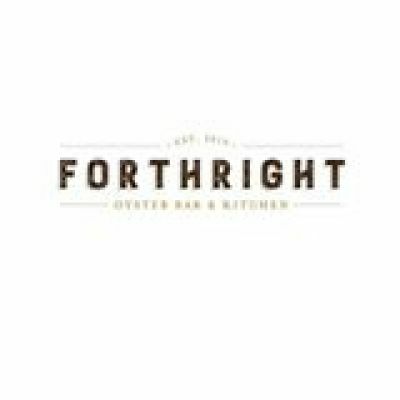 Forthright Oyster Bar and Kitchen, a seafood centric restaurant located in Campbell, is seeking a passionate and highly skilled individual to add to its bartending/serving team. Starting with 2-4 shifts a week. The qualified individual should have a minimum of 1- 2 years of experience working in a craft cocktail program or high volume bar. Additionally, applicants should possess a high level of customer service, strong organizational style and have a keen eye for detail. Energy, passion and professionalism are keys to success in our restaurant. Passionate individuals with little experience are invited to apply for a Bar Back Position with opportunities to advance or food runner. Lift up to 40 lbs. Be available to work days and weekends. Have experience working with fresh ingredients. Have a passion for learning and improving skills. Have experience in a fast-paced customer service environment with the ability to multi-task. Smile, while exhibiting a genuine care for guests throughout the restaurant. Maintain professional atmosphere in all guest areas. Maintain a clean and presentable bar--including dusting shelves, cleaning fridges, floors, drains and counter tops. Handle all produce and bar ingredients in a proper manner as according to health code and The Table policy. Deliver a prompt, friendly greeting whether able to assist immediately or not. Maintain a thorough knowledge of all menus. Provide drink suggestions for guests when appropriate. Make wine suggestions, wine and food pairings, etc. Produce cocktails for bar patrons and dining room guests according to the recipe standards developed at The Table. Adhere to proper banking procedures and maintaining a balanced cash drawer at all times. Be honest, with a high degree of integrity. Adhere to the laws governing the sale & service of alcoholic beverages. Further expectations will be detailed upon hire. Create delicious, seasonal cocktails to be served to guests of Forthright. Learn about a wide range of cocktails, beer, wine and spirits. Work closely with the chef to develop innovative seasonal ingredients. Develop service skills applicable to a fine ding environment. Grow within a fun, new company. ALL BARTENDERS MUST WORK AT LEAST 1-2 LUNCH/BRUNCH shifts a week. Please DO NOT APPLY IF YOU CANNOT WORK WEEKENDS.